I love those books. And hearing about them again makes me want to read them again. I got them all for christmas a long long time ago and keep forgetting to take them from my parent's house whenever I visit. I'll have to remember one of these days! 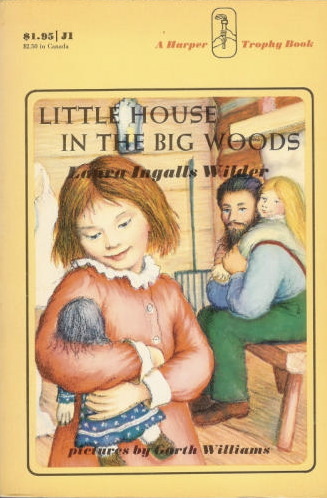 Vati went to the library last month and checked out "Little House in the Big Woods" to read to the grandkids at bedtime. Even though he's not very far into it yet, he's been enjoying it. He hadn't read the books before, but when he asked me for a good chapter book to read to the kids, I knew just what to tell him! 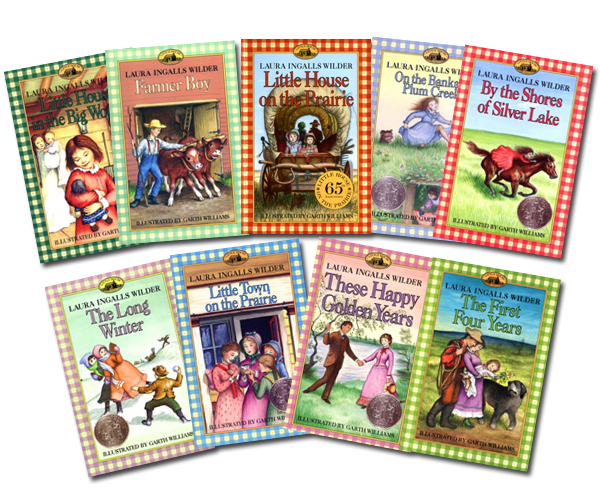 Remember the Betsy, Tacy, and Tibbs books? Or did I just read those to Polly? Katie, you are so funny! Your blogs always add a bit of humor to my day. Not that this blog was humorous, but it made me smile to think about all those books I was so fond of just a decade ago. but we DO need all of those things like walks and smoothies and i'm sorry but my mom threw away the big undies. it might make you happy to know that elise is keeping the BSR alive and takes lots of people on it. she even makes bracelets for them afterward. Mom- Yes I remember the Betsy, Tacy, and Tibb books. I don't really remember the stories, but I remember that you read them to me. Maybe those will be next on my list. Kendra (Ween)- I don't think I knew you were reading my blog. Haha. Hello! Marae- I am very sad that your mother threw away the large underwear. How dare her. At least Elianta has her priorities straight. I love those books! I once took care of a lady and would read her part of the book every night. Ohh now I want top read them too.